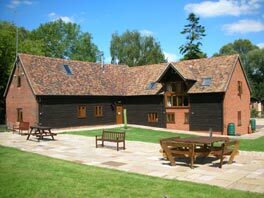 Bed and breakfast Alton Hants | Upper Neatham Mill Farm | guest house b&b Hampshire. 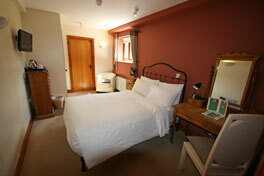 Work or relax, our luxury bed & breakfast in Holybourne Alton Hampshire England caters for your every need. Make this your perfect UK Bed and Breakfast accommodation for tourism or business when visiting Holybourne or Alton Hants, Basingstoke Hants, Aldershot Hants, Farnborough Hants, Petersfield Hants, Winchester in Hampshire, or Farnham in Surrey. We are particularly proud of the high standard and quality of our Bed and Breakfast rooms, further enhanced by our professional attention to detail and personal service. To identify the different types of bedrooms and bathrooms available, hover your mouse over the pictures on the left hand side. Very comfortable period French beds and crisp Egyptian cotton bedding and medium to firm backcare 1400 pocket luxury mattress. 32 inch (815mm) High Definition lcd TV with full HD digital channel listings. DAB Digital Radio, FM Radio. Ipod / Iphone Dock with clock / alarm. Tea and coffee making facilities, hairdryer. Writing desk with ample power sockets and 1 chair, plus 1 easy chair. Independent gentle wall lighting and bright ceiling lighting control from the bed or door. 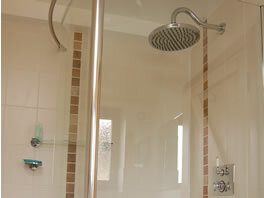 Separate bathroom comprising, walk in power shower with 3 bar pressure and 12 Inch (300mm) sunflower head, sink and toilet. Exceptionally comfortable divan Superking size bed and crisp cotton bedding and medium to firm backcare 2800 pocket luxury mattress. 32 inch (815mm) Smart High Definition lcd TV with full HD digital channel listings, On demand viewing and internet access. Large 2 door built in wardrobe. 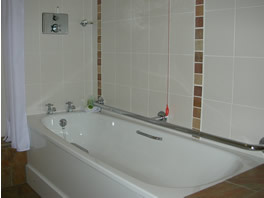 Separate larger bathroom comprising, bath & power shower with 3 bar pressure, sink and toilet. Exceptionally comfortable divan twin beds with crisp cotton bedding and medium to firm backcare 1400 pocket luxury mattresses. 32 inch (815mm) Flat screen TV with full digital channel listings, DVD and CD player. Check IN between 16:00 and 19:00, other times with prior arrangement. Check OUT between 7:00 and 10:00, other times with prior arrangement. Please note, fixed telephones are not available in the bedrooms and we do not have a pay phone. 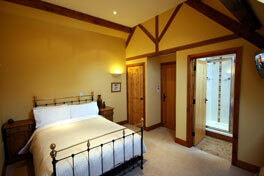 Bed and breakfast menu, in vaulted oak beamed dining room. 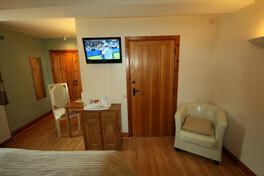 Free Wireless broadband throughout Alton Hampshire bed and breakfast accommodation. 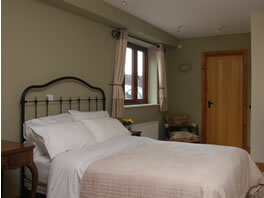 Free off street parking for all b&b rooms in private, floodlit guest house car park. Unwind and relax in the guest house's peaceful south facing garden and patio area. Private garden, walks, woodlands and river bank situated on river Wey in Holybourne, for residents of bed and breakfast accommodation. 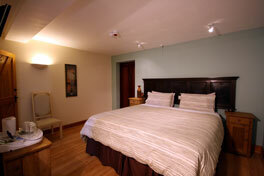 Making your stay in Alton Hamphire as comfortable as possible. Alton Hants railway station is 1 mile from guest house accommodation. 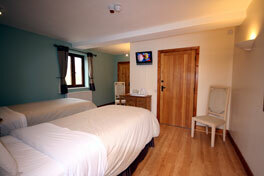 Upper Neatham Mill Farm GB is a non-smoking Bed and Breakfast accommodation. Sorry, no pets allowed in the main accommodation due to the high standard of furnishing. UK 01420 542908 or click bnb, availability. 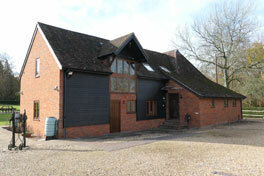 Accommodation, Home Bed and breakfast, near Alton Hampshire, home page.